We should probably start by admitting that the list of mechanical properties is pretty long. Some are more important and common than others, when describing a material. Therefore, we are looking at the topic from an engineer’s perspective. He needs to know the basics to differentiate materials from each other to make an informed decision when designing something. σ=F/A, where F is force (N) and A is area (mm2). ε=(l-l0)/l0, where l0 is starting or initial length (mm) and l is stretched length (mm). From those two concepts we get to our first mechanical properties – stiffness and elasticity as its opposite. It is an important factor for engineers when solving physics problems (material suitability for a certain application). Stiffness is expressed as Young’s modulus, also known as modulus of elasticity. It defines the relationship between stress and strain – the bigger its value, the stiffer the material. This means that the same load would deform two equally-sized parts differently, if they have varying Young’s moduli. At the same time, lesser value means that the material is more elastic. Yield stress or yield strength is the value most often used in engineering calculations. It gives a material a stress value in MPa it can take before plastic deformation. This place is called the yield point. Before it, a material regains its former shape when lifting the load. After exceeding the yield point, the deformation is permanent. There is a good reason for using yield stress as the most important factor in mechanical engineering. When stress goes beyond the yield point, the damage is not yet catastrophic. That leaves a “cushion” before a construction fails completely to the point of breaking. Ultimate tensile strength, or just tensile strength, is the next step from yield strength. Also measured in MPa’s, this value indicates the maximum stress a material can withstand before fracturing. 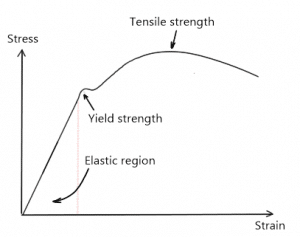 When choosing a suitable material to tolerate known forces, two materials with a similar yield strength may have different tensile strengths. Having higher tensile strength may help avoiding accidents, if unforeseen forces are applied. Plasticity is a material’s property that shows its ability to deform under stress without breaking, while retaining the deformed shape after the load is lifted. Metals with higher plasticity are better for forming. This is evident in metal bending. Two related mechanical properties of materials are ductility and malleability. Ductility has a pretty much similar description to plasticity – it is a material’s ability to undergo plastic deformation before breaking. It is expressed as a percent elongation or percent area reduction. Basically, ductility is a property you need when drawing thin metal wires, for example. A good example of such a ductile material is copper. This makes the fabrication of wires possible. Malleability is, in definition, also similar. But it actually characterises a material’s suitability for compressive deformation. In essence, a metal with good malleability is fitting for producing metal plates or sheets by rolling or hammering. Toughness is a combination of strength and plasticity. 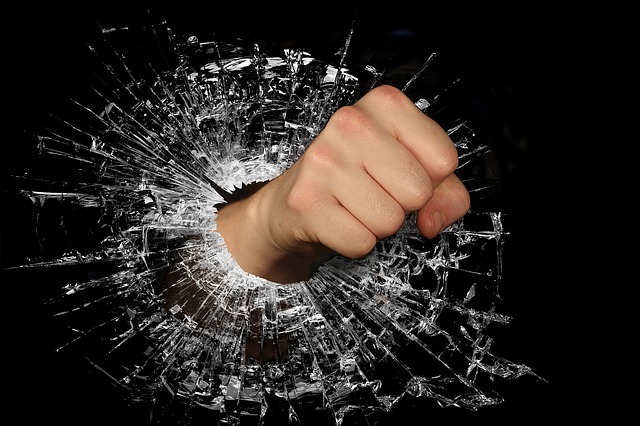 A tough material can take hard blows without rupturing. Toughness is often defined as a material’s ability to absorb energy without cracking. 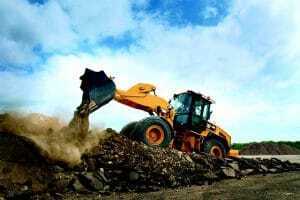 An example of required toughness is quarry loaders. Throwing huge rocks into the bins results in deformations, not cracks, if the material is tough. Another important attribute for an engineering material. High hardness values show that a material resists localised pressures. In simple terms, a hard material is not easy to scrape or punctuate with lasting marks (plastic deformation). It is especially important when heavy wear processes take place. In such circumstances, hard materials like Hardox are suitable. Hardness and toughness are two qualities that account for durability. Hardness is measured by scratching, bouncing or indentation. 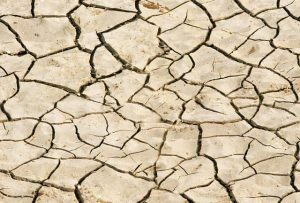 The most common way to describe hardness is through indentation hardness. There are different ways to carry out these tests, depending on the material. Each results in a different hardness unit – Brinell, Vickers or Rockwell. If you want to compare 2 materials that have hardness values in different systems, you have to convert them to the same type (e.g Vickers) first. Brittleness is usually quite an unwanted material property in mechanical engineering. It means that a material breaks without noticeable plastic deformation. An indication of a material’s brittleness is the snapping sound it makes when breaking. Although when thinking about brittleness, it may be associated with low strength but it is not so in reality. Those two are not mutually exclusive. A strong material can still be brittle. An example of this is ceramics. Cast iron is an example of a brittle metal. Fatigue strength, or fatigue limit, expresses a material’s ability to withstand cyclical stresses. In case of ferrous alloys, there is a clear limit the metal can resist. In case the stress is lower than the limit (according to the number of cycles), there is no fear of breaking. It is an important material property to keep in mind when designing shafts. The direction of force is constantly changing with the rotation of the shaft, meaning the stress is cyclical. With other metals, like aluminum and copper, there is no clear limit for cyclical stress resistance. They still tend to break after a certain amount of reversed bending stress. For such materials, there is another similar measurable value – endurance strength. With fatigue strength, a material has an infinite life, if the stress value is below the fatigue limit. In case of endurance strength, you get a value below which the material can work for a certain number of cycles. It is usually set at 107. If you have made an informed decision about your material selection, it is time for manufacturing. We are here to help you with online manufacturing services!